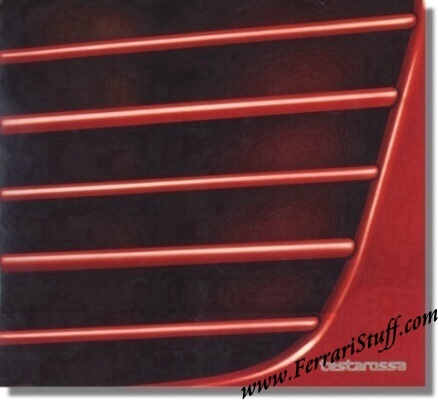 Ferrari factory original 1984 Ferrari Testarossa Brochure for the European Version. This Ferrari brochure contains 6 pages + 4 fold-out pages + 2 "onion skin" pages, the first one carrying a printed signature of Enzo Ferrari, the last one showing a power and torque curve of the engine. Ferrari Print Number 328/84 17M/09/85, issued in 1984, printed in September 1985 by Arbe, Italy.